In the region of Almería you will find a real piece of European desert. 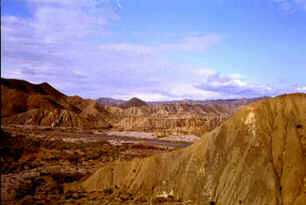 Because of the resemblance to the American desert, this area is sometimes referred to as "the badlands of Almería". 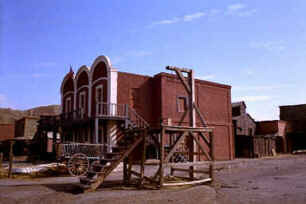 In the 70's, a large number of spaghetti-westerns was shot here. 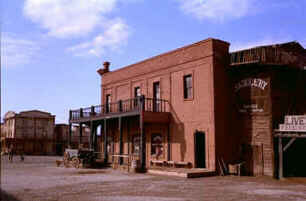 Some of the wild-west towns still remain and can be visited. The most famous movie was "for a fistful of dollars". Another movie that was partly shot here was "Lawrence of Arabia". Of course, most of this movie was filmed in Wadi Rum, Jordan, but the scenes around the castle were shot here. 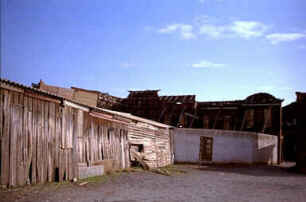 In real life, Lawrence was a prisoner in Qasr Azraq in Jordan, but we think Qasr Azraq doesn't look so well on film. This is what the houses look on the back side. A friend of us always makes pictures of sunsets. 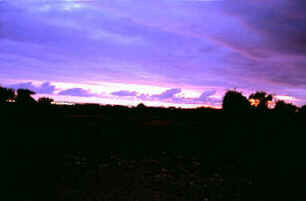 He was very impressed by this photo of a sunset in Almería.